Today brought some big announcements from Chinese powerhouse Xiaomi. The manufacturer's next flagship device, the Mi 4c, has been unveiled and priced; but, the potentially bigger news is that Xiaomi is also starting its own wireless carrier and jumping in the ring against others like China Mobile, China Unicom and China Telecom. Don't expect it to be a competition though. China Mobile has more than 800 million subscriptions; China Unicom has around 300 million; and China Telecom has about 200 million. That's a total of 1.3 billion subscriptions in a country with a population of 1.37 billion; that's a lot of people with multiple devices already. 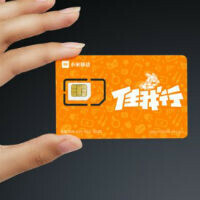 Additionally, Mi Mobile will be an MVNO, meaning Xiaomi will rent network capacity from those giants. But, bringing MVNO options to China could end up creating a big shift by giving lower income people more options and potentially pushing the major Chinese carriers to innovate a bit more quickly. Mi Mobile plans come in two flavors. First is a pay-as-you-go model which charges 0.10 yuan ($0.02) for each minute on voice calls, each text message or each MB of data. Alternatively, users who crave data can opt for a 59 yuan ($9.25) plan that keeps the 0.10 yuan per minute/text charge, but gives users 3GB of data per month instead, though it will still be 0.10 yuan per MB over that limit. The pay-as-you-go option will will be available starting September 23, and the monthly plan will be available for public beta in October. As is customary for Xiaomi, the plans will only be available online. Xiaomi seems to have its hand in everything these days. Good for them, at least they are trying to innovated their business model. 3GB for less than $10? Wish US carriers charged that much. “against others like China Mobile, China Unicom and China Telecom.“ absolutely wrong,xiaomi is only virtual wireless carrier,they all services base on the other wireless carrier.nobbut franchise.